Welcome to Paradise! This is the one! 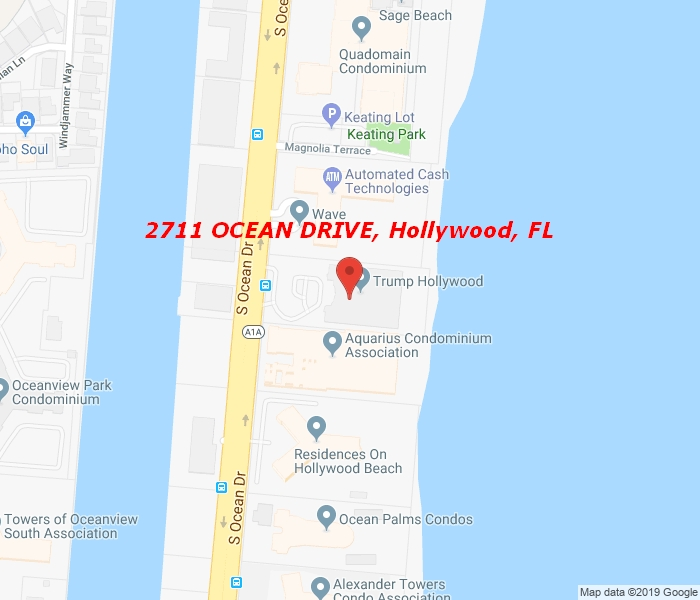 Great value unit at Trump Hollywood, experience unsurpassed views of the ocean and also the intracoastal sunsets. Features 3,395 SF, 3 Beds / Den and 3.5 Baths. Private balcony and elevator. This unit is turn key. Building offers upscale amenities including concierge, party room, breakfast area, gym, sauna, theatre, library and wine cellar. Very easy to show.